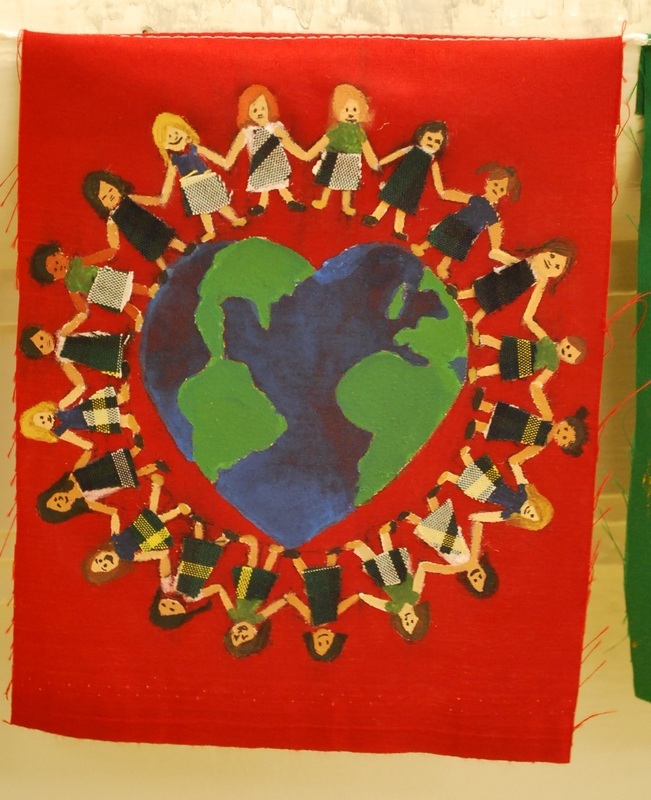 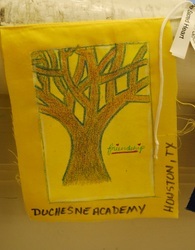 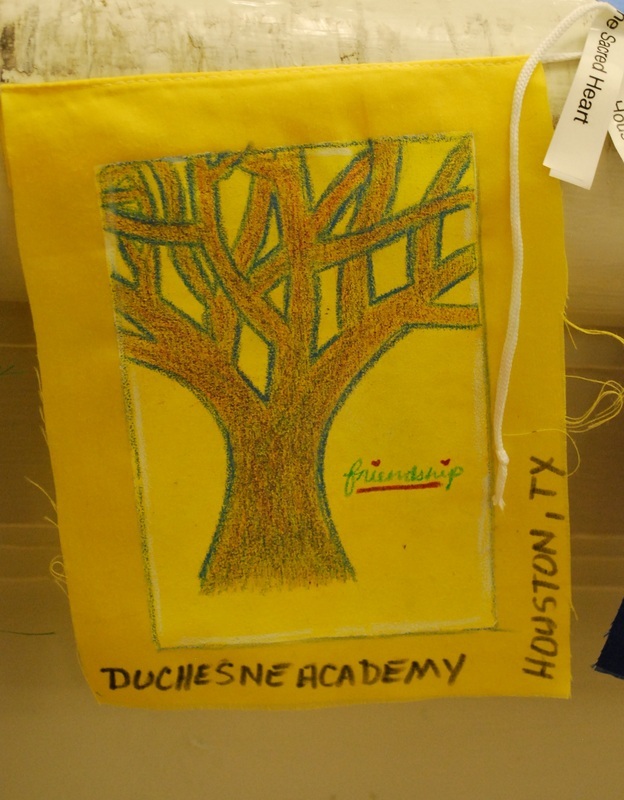 Upper School Students – the earth in a heart shape surrounded by students in our own Duchesne plaid uniforms--This shows how our students want to embrace the world. 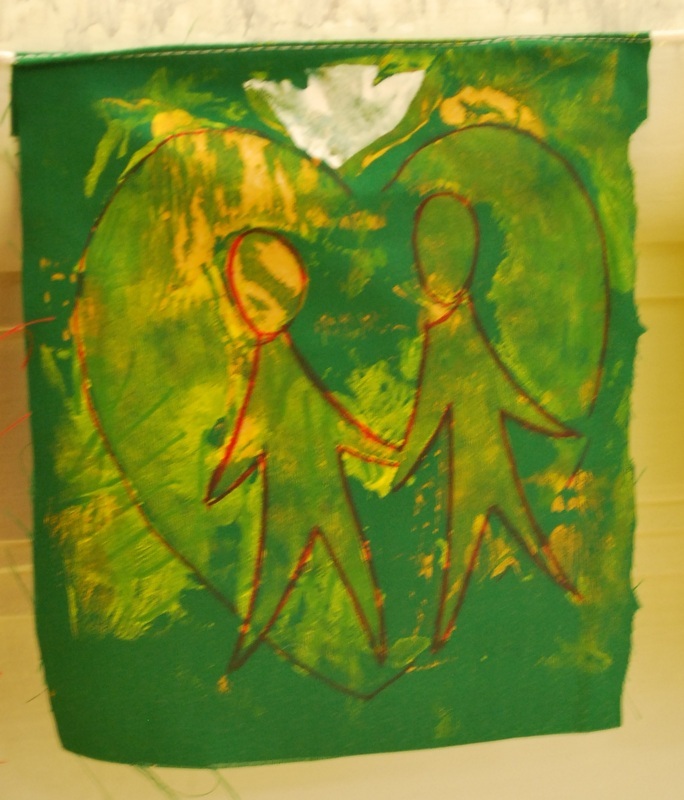 Staff – A heart and two figures, showing how love, which coming from the spirit (symbolized by a dove), can connect people. 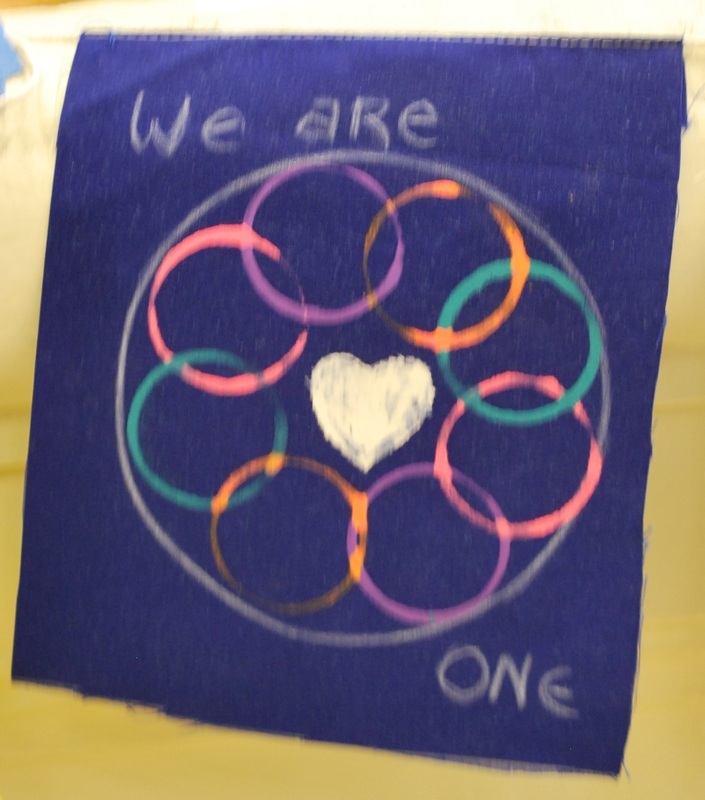 Lower School and Daycare students – a handprint inspired by an activity in which lower school students participate during their Harmony Day—a day celebrating oneness, peace, community. 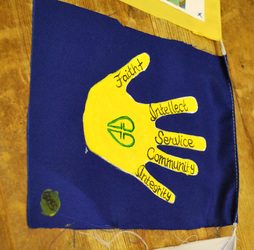 Each finger has a word from the 5 Goals of the Sacred Heart. 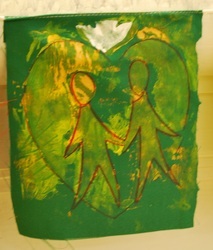 In the corner is a thumbprint from one of our daycare children with the word Goals. 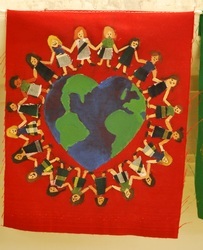 This symbolizes the future of the Sacred Heart ideals. 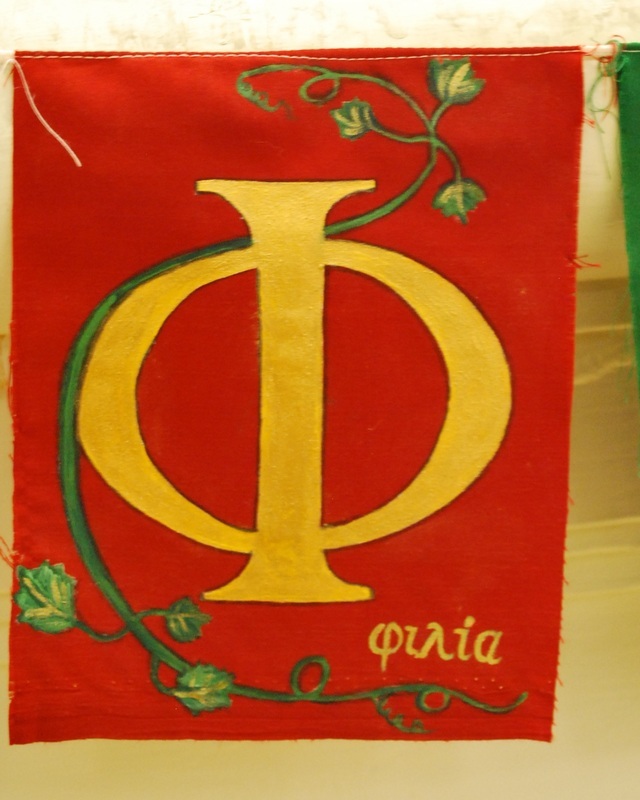 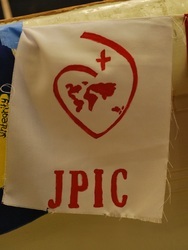 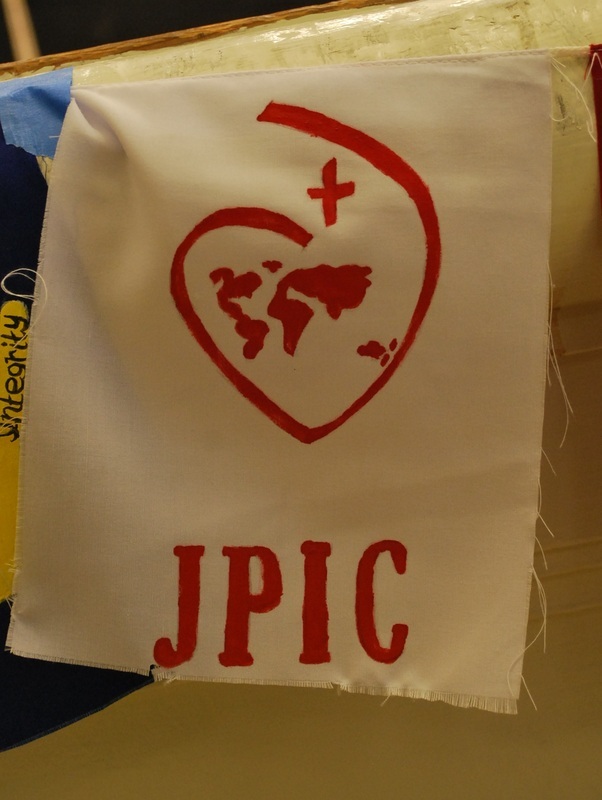 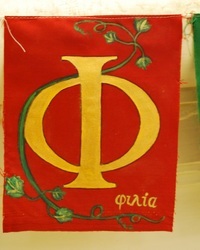 RSCJ’s on our campus – The US/Canada Network symbol with the letters JPIC which stand for JUSTICE, PEACE and INTEGRITY of CREATION. 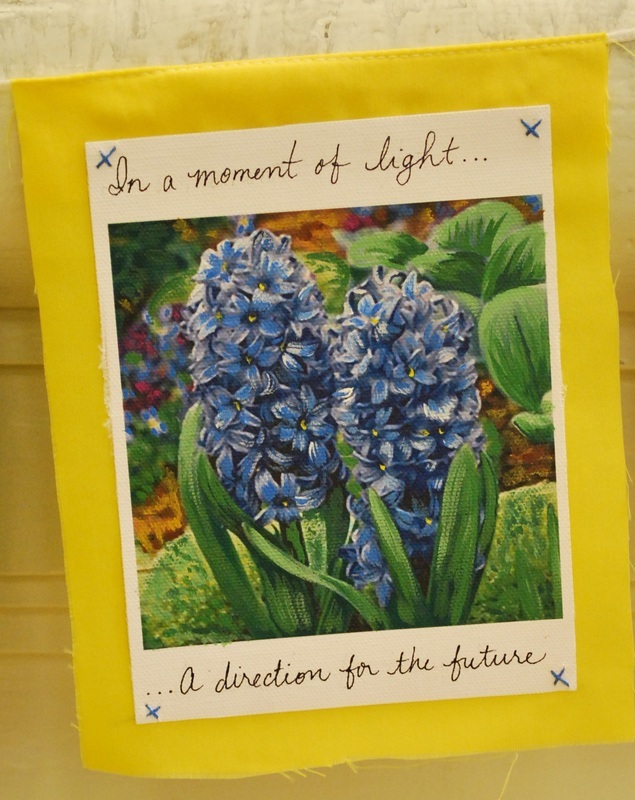 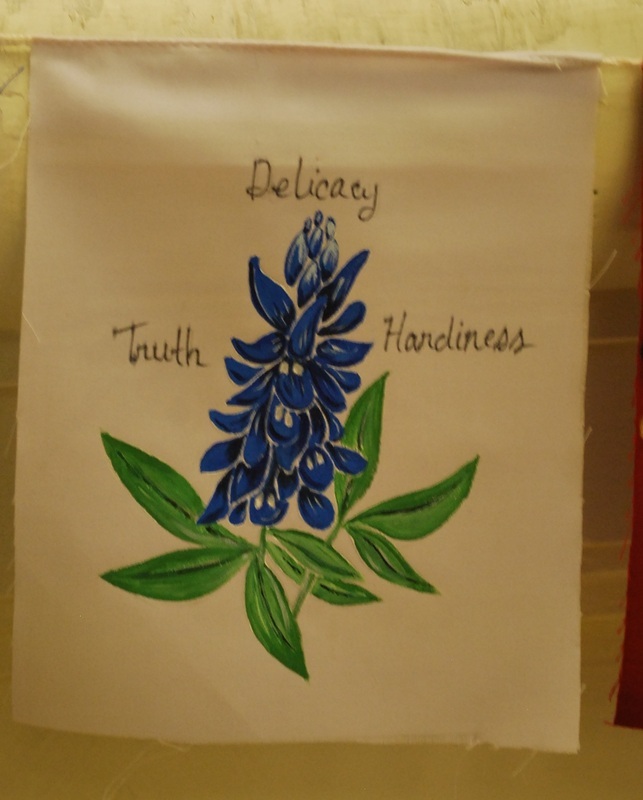 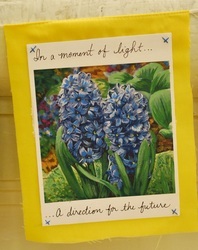 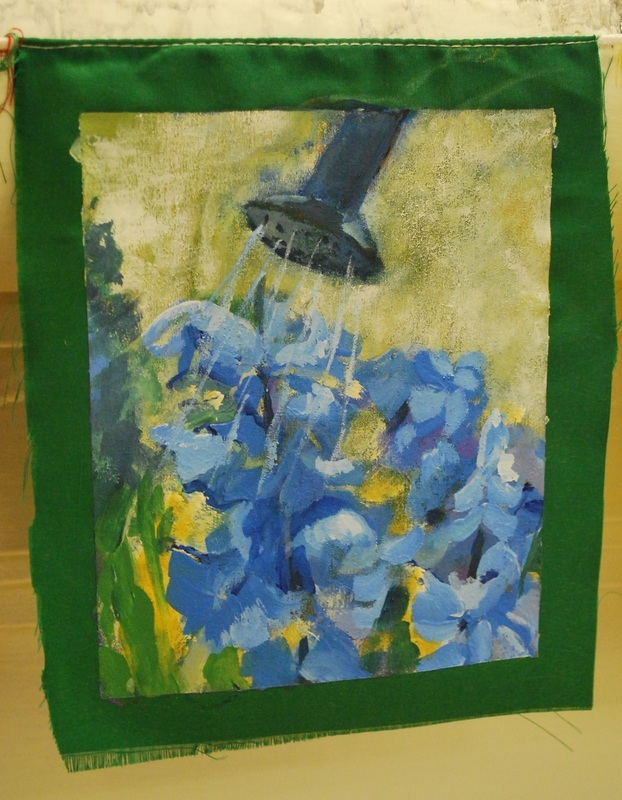 Administration – hyacinths being watered by a watering can-- The hyacinths are taken from a sign Janet Erskine Stuart saw at her moment of calling. 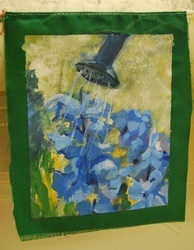 The watering can symbolizes our role as educators and children of the Sacred Heart to nurture.